Pitch one and 2 are visible the belay for pitch 1 is marked to help with confusion. 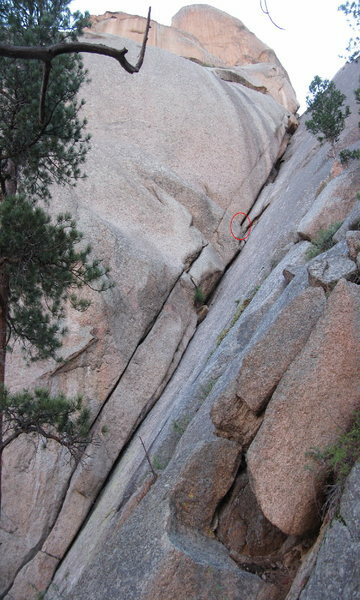 We belayed just above what should be the crux of P2. Oops.